Thayer Academy's mission is to inspire a diverse community of students to moral, intellectual, aesthetic, and physical excellence so that each may rise to honorable achievement and contribute to the common good. General Sylvanus Thayer, was born in Braintree, Massachusetts, and graduated as valedictorian from both Dartmouth College and the United States Military Academy at West Point, New York. General Thayer was dedicated to hard work, and at the age of 17, taught in the local schools of Hanover, New Hampshire to earn money to pay for college – an early sign of the importance he attached to teaching and education. He was Superintendent of the Military Academy at West Point from 1817–1833 and is considered the Father of West Point. 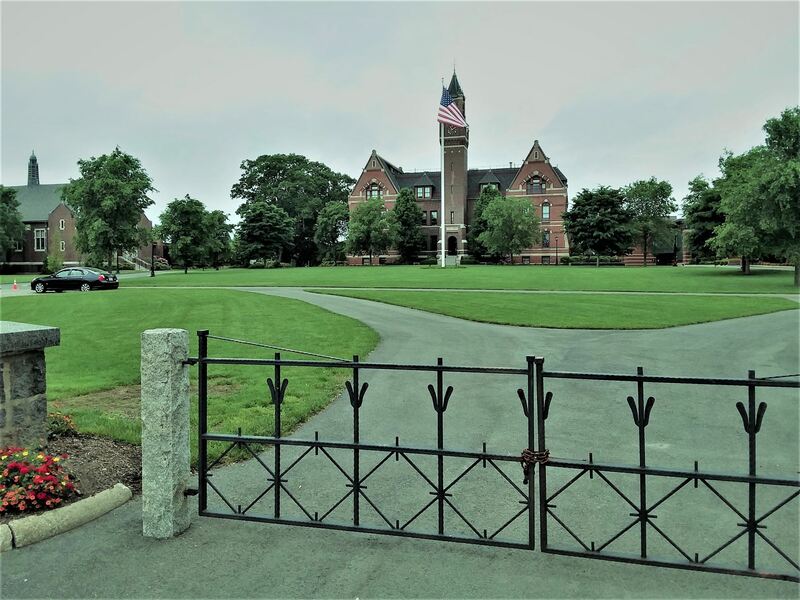 General Thayer's 1871 will provided for the creation of Thayer Academy, and on September 12, 1877, the Academy opened its doors to 30 students in what is now Main Building. Glover opened sometime later in 1894. The junior school (grades 5-8), Thayerlands, opened in 1924 and quickly grew to include eight grades as well as kindergarten and nursery school. Beginning in 1969, the lower grades were gradually eliminated, and Thayerlands became Thayer Academy Middle School. Thayer has been a co-educational institution since its founding. Thayer Academy is a prestigious private coeducational college-preparatory day school. Its 34-acre campus consisting of eight buildings and 54 classrooms is located in the heart of Braintree, across from the Braintree Historical Society Campus grounds and the General Sylvanus Thayer birthplace. Thayer annually enrolls approximately 470 students in the Upper School (grades 9–12) and an additional 220 students in the Middle School (grades 6–8) and Grade 5 commencing in the 2018-19 academic year. Students are drawn primarily from Boston's Metro West and South Shore communities. BHS was pleased to host Senior Max Wagner from Thayer Academy during the month of May 2018 for a student internship as a part of his year-end senior project. Max worked at the Society’s Gilbert Bean Barn & Mary Bean Cunningham Resource Center 5 mornings a week, supporting BHS Directors, Curators and Librarians, Bob Harris, Mary Frazier, Ruth Powell, Claudia Shutter and Claudette Newhall with a variety of tasks critical to the Society’s reorganization of the 31 Tenney Road location. 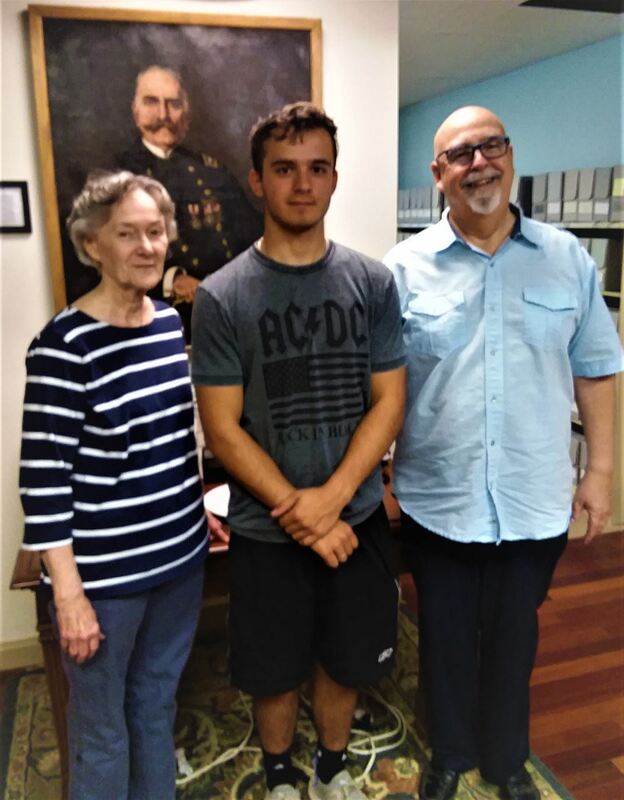 Max toured the Society’s General Sylvanus Thayer House & Museum and the Gallivan House, had the opportunity to view many of the Society’s collection items and had the opportunity to learn about both famous and infamous aspects of Braintree’s history. In addition to working to relocate and restore the Society’s computer and internet systems, Max played a major role in moving collection items stored in the Barn loft and the attic, in reorganizing spaces on the first and basement floors of the building and in repairing parts of the building and collection items. Max’s efforts were central to making significant progress toward the Society’s goal of reopening to the public the Gilbert Bean Barn and Mary Bean Cunningham Resource Center in the fall. While those who worked with Max will miss him, they and the Society wish him the best as he graduates, enters college, and moves forward with the next major step in his young life.